Tomorrow, 22nd September, is World Rhino Day. Save the Rhino International works to conserve viable populations of critically endangered rhinos in Africa and Asia. They recognise that the future of wildlife is inextricably linked to the communities that share its habitat. And we recognise this too. 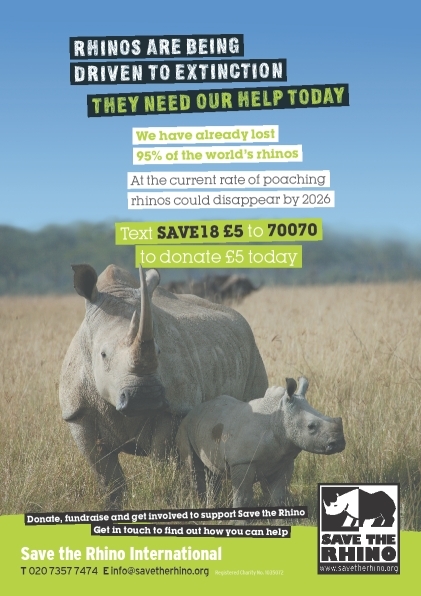 We support Save the Rhino. You can visit their site to make a donation.